9-5 1998 to 2010 all 4 cylinder petrol models. 9-3 1999 to 2003 (not the Sports Saloon introduced in 2003) all 4 cylinder petrol models with the following trionic 7 engine types: B235R, B205L, B205R and B205E. If in doubt please contact us with the car's chassis number. 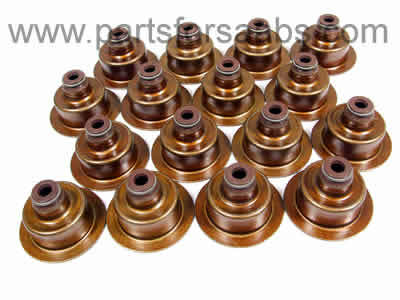 Original equipment quality, Swedish supplied aftermarket valve stem seals. Supplied as a pack of 16.